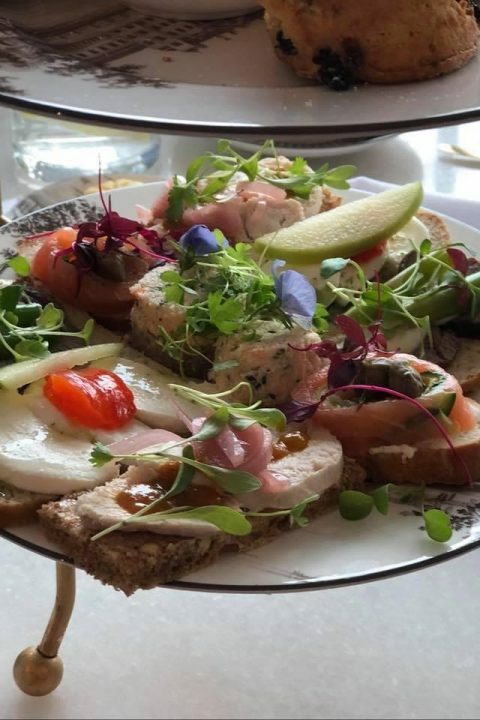 For me, having afternoon tea is more than just drinking cups of tea and eating some amazing food with friends. 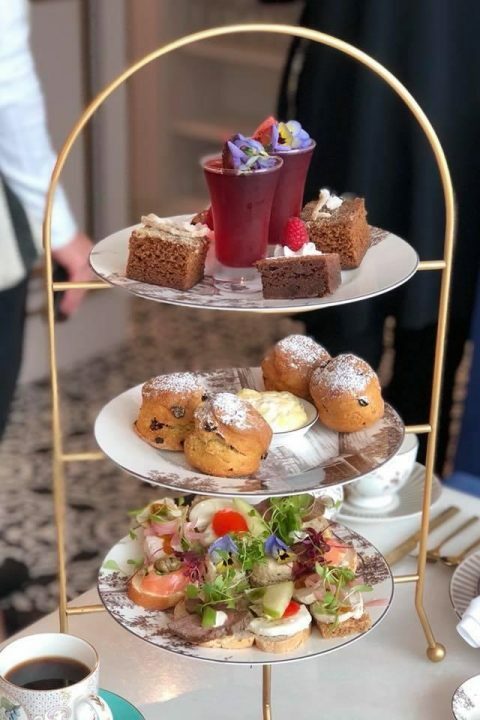 Afternoon tea is also about the decadence of times gone by and what better way to experience afternoon tea than eating and drining from crockery made by the world famous Wedgwood. If you want glam and pretty crockery afternoon tea at the World Of Wedgwood will not disappoint. 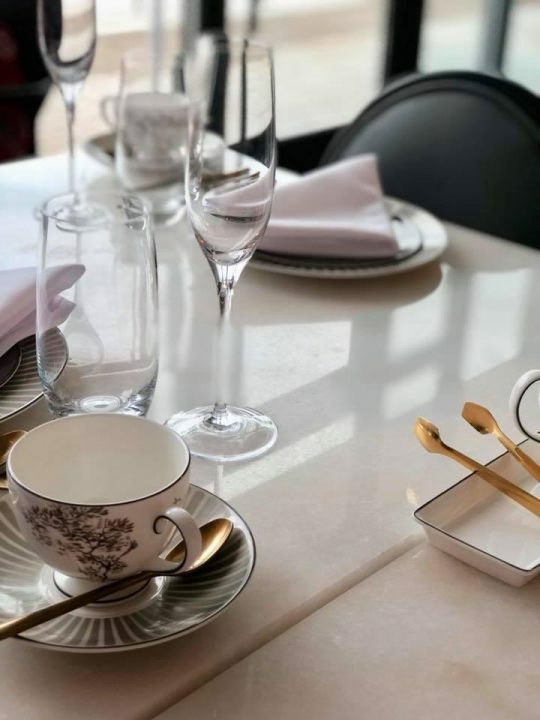 The teas are served daily in their Wedgwood Tea Room; an elegant room where you will be served a contemporary and indulgent interpretation of afternoon tee with unlimited Wedgwood tea or coffee if that is your thing. 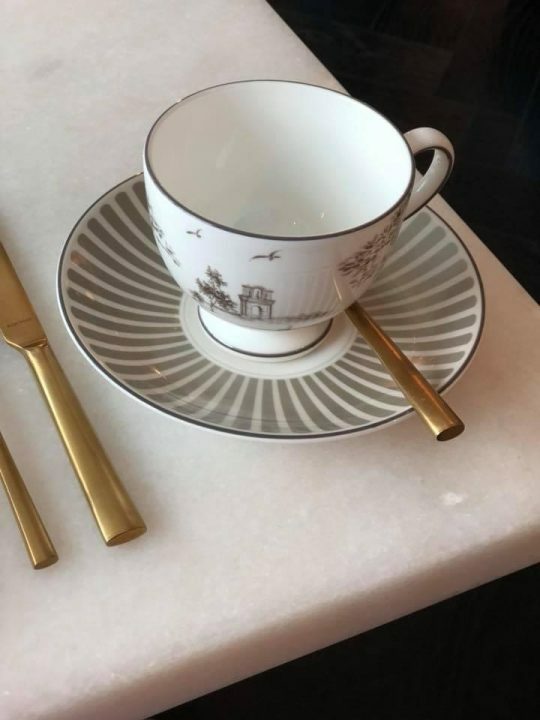 I know, I don’t get the coffee thing either but there’s always one who has to have “afternoon coffee” and I took one with me and it was served in a pretty coffee cup and saucer! I had the Wedgwood Original tea and it was a nice strong brew. 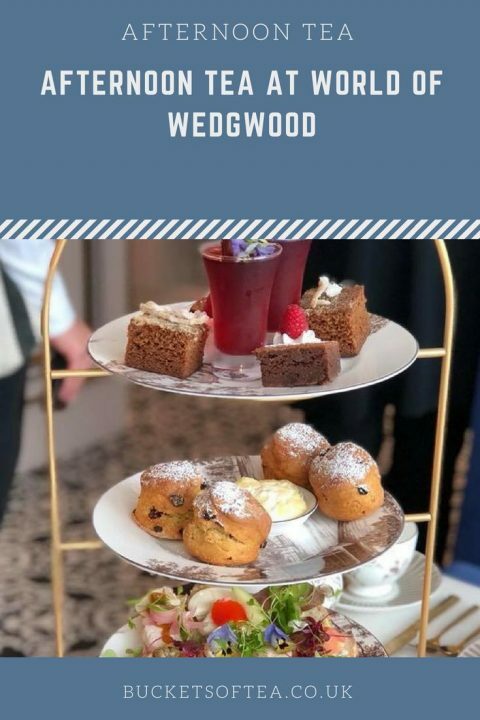 There are also a number of other teas available and which are also available to purchase in the Wedgwood Flagship Store which you walk through to reach the Wedgwood Tea Room. If tea is not your thing, I’m told there are some people who don’t like tea (!!!) there are a number of coffees to choose from to have with your aftrernoon TEA (It’s in the name…TEA). 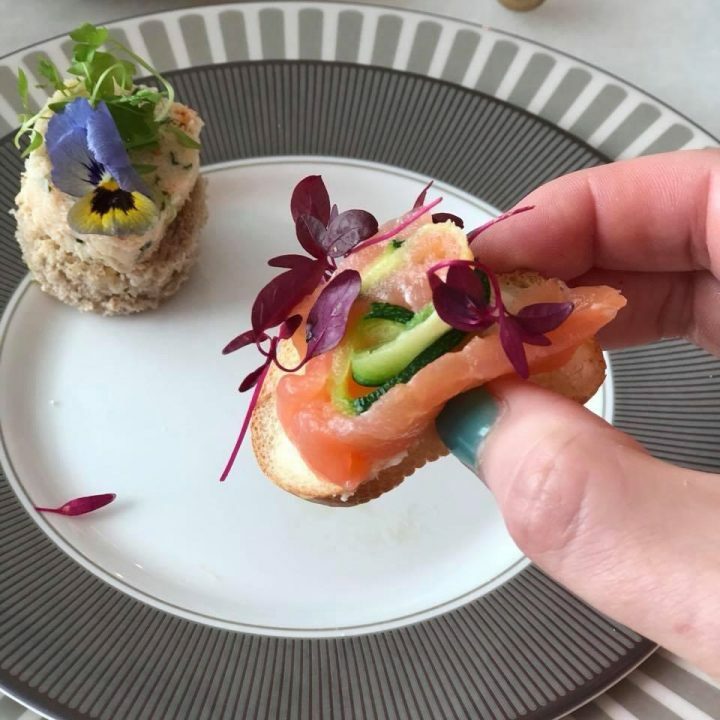 Oak smoked salmon, courgette and cream cheese. Pickled peppadew, mozzarella and apple. Dry aged beef with horseradish, asparagus and crème fraîche. 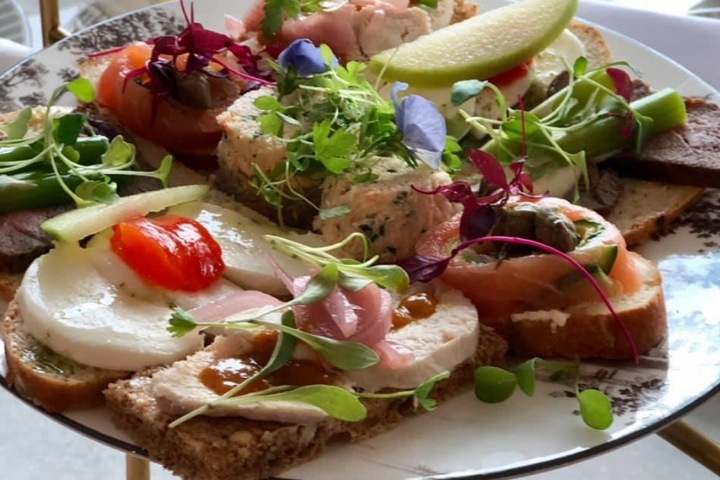 Coronation chicken with pickled red onion. Crab paste and chive on Canadian rye bread. Which were all delicious. My favourite was the crab paste and chive. With the sandwhiches being open there was a smaller amount of bread which meant they were not as filling as some afternoon teas I eaten. This was lovely as I found by the time we got to the swet course I didn’t feel like I had ate too much as was able to fully enjoy the afternoon tea. 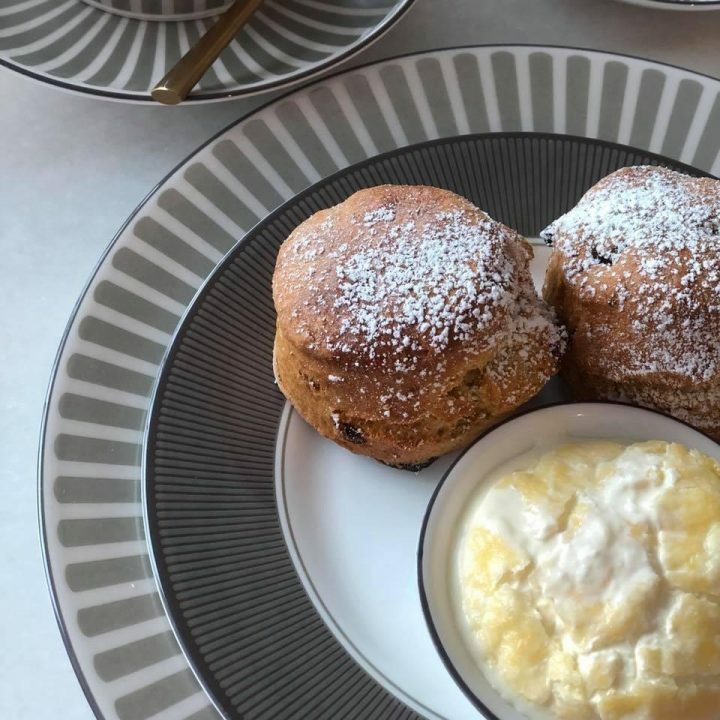 There were two Wedgwood fruit scones with clotted cream and strawberry preserve. 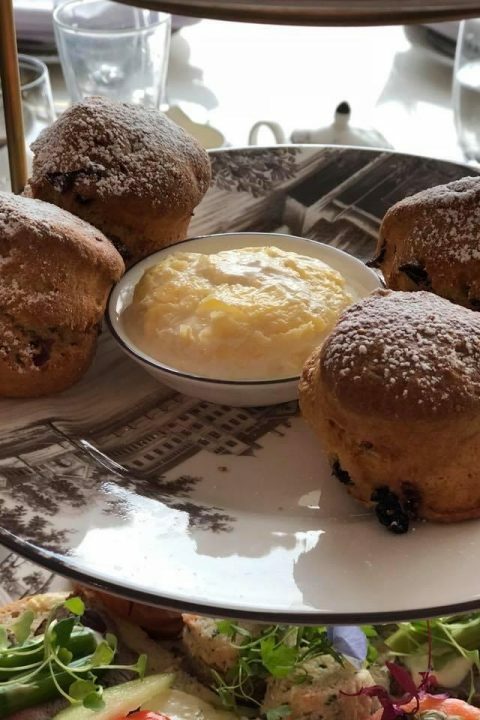 The scones were lovely and the jam had a lovely strawberry flavour and was packed with friut. Chickpea pavlova with coconut cream and fresh berries. 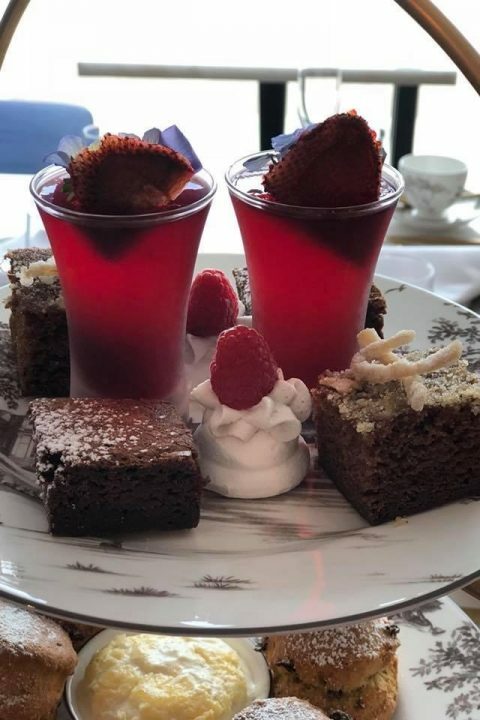 Wild strawberry tea jelly with dried strawberry tuiles. Ginger cake with candied ginger. All of the cakes were lovely. I didn’t eat the cream on the coconut pavola as I don’t like coconut but I was told it tasted very nice without being overpowering. When I saw the pavlova was made with chickpeas I will admit I wondered whether I would like it and was very surprised how lovely it tasted and didn’t have a taste of chickpeas at all. 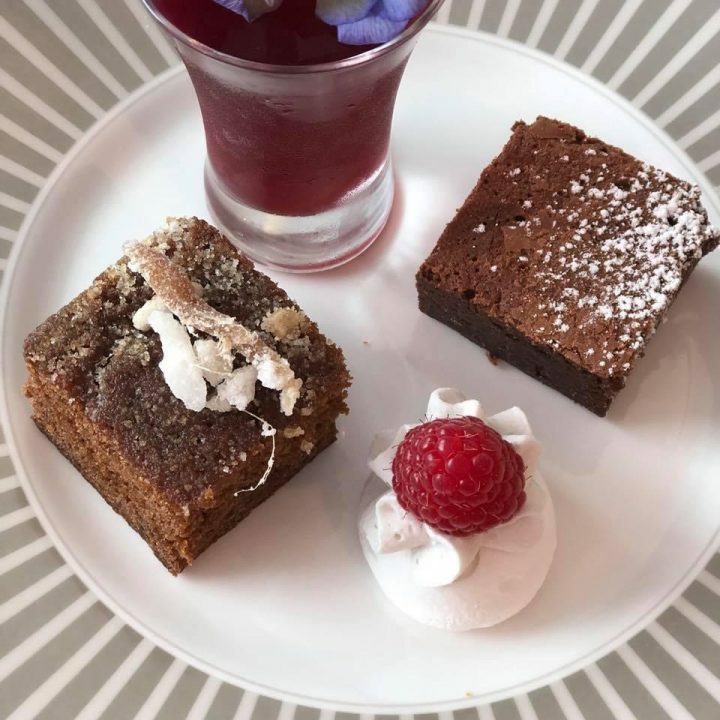 The chocolate brownie was indeed very deadent and was extremly rich in flavour as was the ginger cake which was very light and moist. If you are a regular reader it is pretty clear that I like afternoon tea….a lot The Wedgwood Afternoon Tea was amzing and the surroundings were decorated in a classic yet relaxing style and the Wedgwood crockery was just so stunningly beautiful and the staff were attentive yet you felt their was only you in the room. Would I visit again for Afternon tea? Without a doubt! 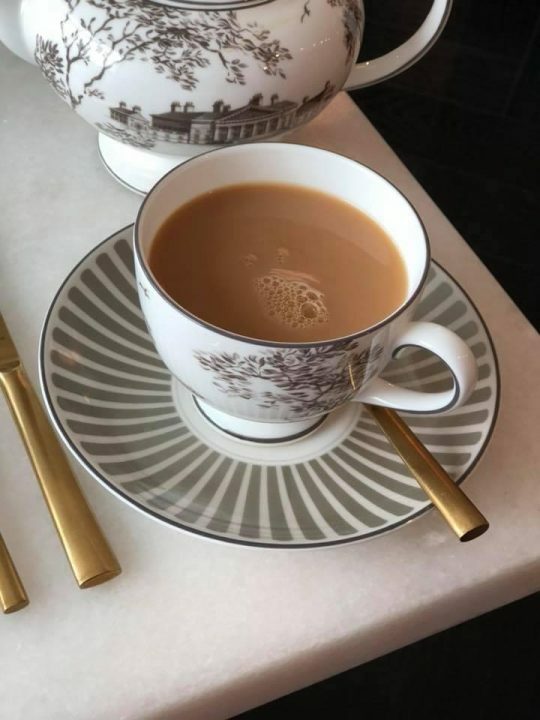 I would love it if you came back to my blog next week when I will be writing about the Wedgwood factory tour, museum, the wonderful flagship store and the factory shop. I may have made a little purchase of a china ‘bucket’ to put my tea in. I would like to thank the lovely people at the World Of Wedgwood for such a fantastic day. Everytime I take a drink in my new china mug I’ll be reminded of this fun day and the one of the most amazing afternoon tea’s I have eaten. For more information or to book, contact bookings on 01782 282986 or email bookings@worldofwedgwood.com. You can also find out more about World Of Wedgwood here. 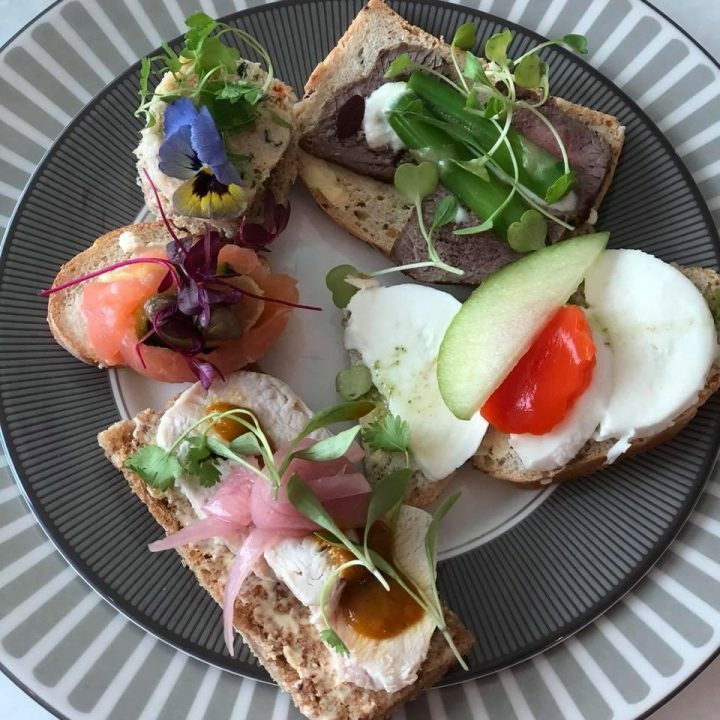 hello, what a scrumptious high tea, my step daughter made chickpea merengue, it was a bit earthy the first day but sealed in a container overnight seemed to diminish the taste and you would be hard pressed to tell the difference. 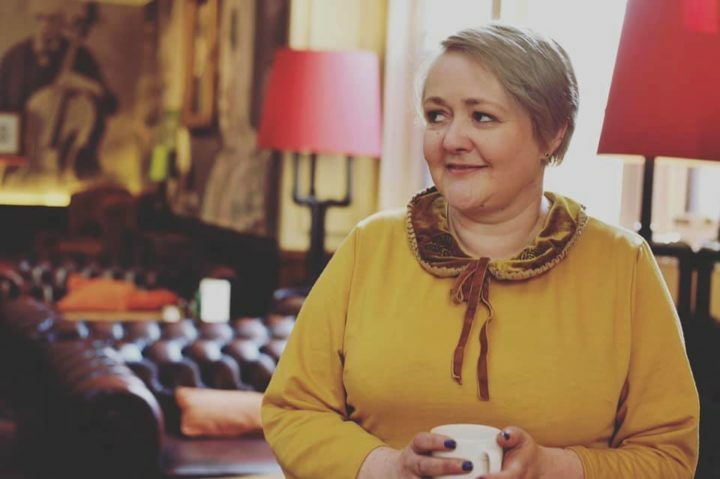 a lovely blog you have here. 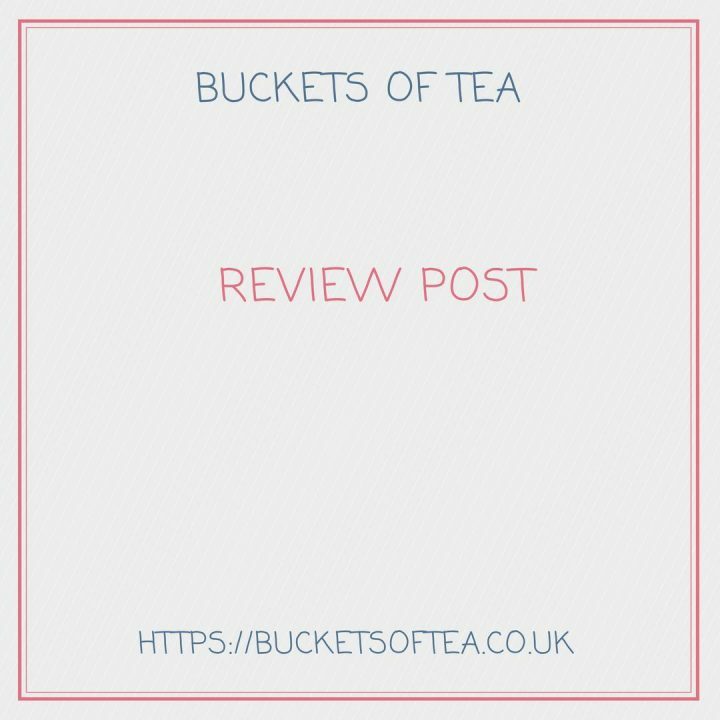 Afternoon tea is my most favourite meal of all, so I am going to be a regular visitor to your blog. The Wedgwood tea looks scrumptious and I am sure the surroundings must have been lovely too.